Check out our current Show Jumping stock for sale. "I bought Captain Oaths from Seamus and Maria and imported him to the USA in 2013.
professional transaction all the way from try-out to vetting and shipping. Bosco is doing great, loves to jump, has tons of scope and a great personality. He is a barn favorite. I highly recommend Seamus and Maria." "Over the past five years I have purchased six horses from Seamus and Maria. The last two I bought from their recommendation and a video alone. they're kind to amateur riders, and they win! I consistently receive unsolicited offers on the horses. for more than the price we paid through Seamus. Seamus and Maria are wonderful to work with and they tell the truth. I am pleased to recommend them to any serious buyer." EEI will provide you with a wide selection of horses, all of which will have been trained under our programme and also competed at official competitions by us. We offer a complete sales service with full price transparency to include: airport collection, accommodation if required, viewing and trial, veterinary inspection and transport to their new home. On the occasion where we do not have the horse you are looking for we have a great network of reliable contacts throughout Ireland to source a horse that exactly fits your criteria. Without breeders and owners our business and sport would not excel. We value our owners/breeders greatly and are always willing to discuss ownership opportunities tailored to suit each individuals requirements. Equine syndicates and partnerships can provide considerable value for breeders ,owners , clients and other outside investors. The level of investment and the amount of time you wish to hold the investment should guide you towards the appropriate form of ownership best suited to you. We are always available to discuss the purchase of an investment horse whether it be a young horse, whose progression you wish to follow or an experienced horse you wish to see compete at the top shows. If you would like to discuss any investment opportunities further please contact either Seamus or Maria. Working Closely With You At All Times! From the initial contact we will work with you on a full time basis to ensure we find you your perfect partner. 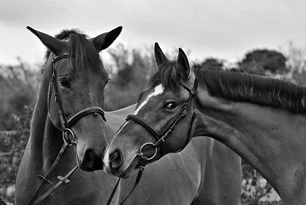 We believe after sales is just as vital as the sale and we will stay in touch and offer any help and advice to ensure the perfect start to the relationship for you and your horse. Many of our clients have come and stayed with us for a few days or weeks to develop the partnership before taking their new horse home. Where Quality is Never an Accident" Equine Elite Ireland aims to provide a source of top quality european horses , broodmares,foals, young horses and experienced horses to Ireland.All horses sold by EEI will come from proven bloodlines on both sides and will be showing the potential to compete at the top level of their chosen discipline. Each horse will come with a clean veterinary report and 20 xrays(excluding broodmares and foals). Our website will include a horse database which will show breeding details for both dam and sire and 4 generations back. 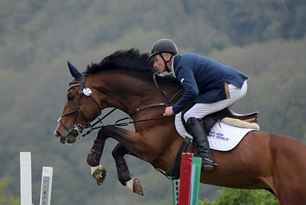 Seamus has also qualified on numerous occasions for various classes at The Dublin Horse Show and Hickstead. Some clients will know instanteously if they want the horse, others like to take some time and come back a second and third time, or maybe try the horse at an outside facility. We will cater for what best suits you. 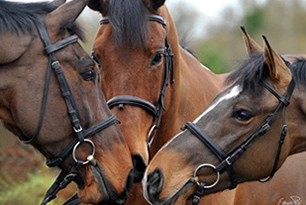 All details relating to the purchase of your horse from vet inspection, transport etc will all be dealt with in a timely and professional manner ensuring you can relax and await the arrival of your horse without any of the stress. Seamus Hayes is the cumsonmate professional, a man of few words but he will rarely set anyone astray. His in depth knowledge of the horses and what works best for them will have you feeling like you know the horse so well prior to riding it. Seamus is one of the most respected showjumpers on the circuit and his opinion is held in the highest regard by all professional riders. Kilconnell Stud, home of Equine Elite Ireland was built from scratch by Seamus to ensure every aspect of the horses care and training is carried out in a pleasant and happy environment. The entire facility is under one roof, with stables, walker, indoor arena and wash area all within easy access and weather never affects the day to day training of the horses. Multiple paddocks ensure all of the horses get ample time outside to relax and unwind. Top Class Showjumping Yard based in Tipperary Ireland. Seamus Hayes specialises in the production of young talented jumpers. © 2019 Equine Elite Ireland Site Created by 360Creative. All rights reserved 2016.